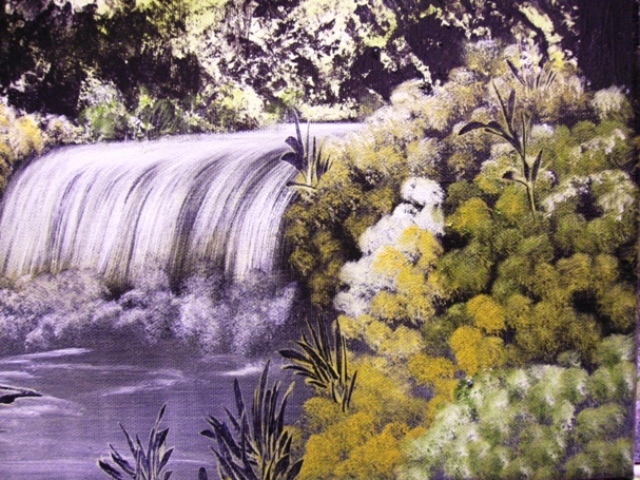 Description: This acrylic and oil painting is a picture based around the falls at Devils Bridge. 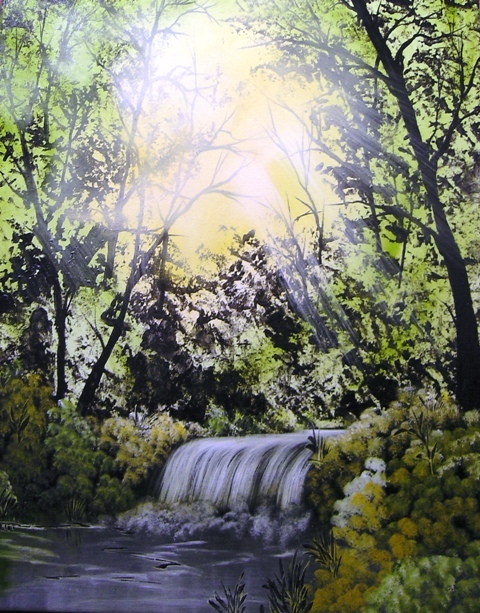 Its very tranquil, the sunlight is starting to burst through the tree's early in the morning. The sides are painted and it does not require framing. Delivery Details: P+P by special delivery in UK included in the price.